Step back into the 18th century and take a guided tour of this impeccably restored Georgian property. Newbridge House is a hidden gem with 370 acres of pastureland, woodland walks, new interactive farm experience, playground and delicious homemade treats served at the Coach House Café. Audio guides for house tours available in French, German, Spanish, Italian, Portuguese, Russian and Chinese. 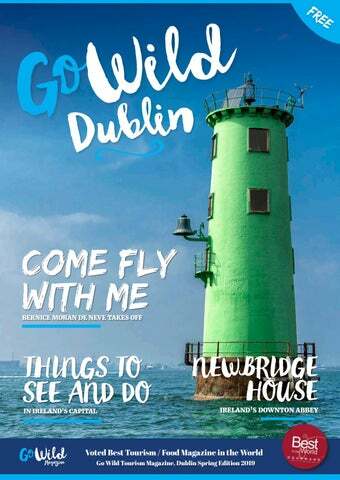 Hi and welcome to the second issue of Go Wild Dublin and issue no. 18 in Go Wild Magazine’s portfolio. o Wild Dublin is our fifth title following on from Go Wild Tourism for the Wild Atlantic Way, Go Wild Ancient East, Go Wild On The Lakes and the world awardwinning Go Wild Food Experience. In this issue, we have - for the first time - married the digital world with the print world. Allow me to explain... On the front cover we have embedded a video link to the world famous Riverdance and once you have downloaded our printer’s GPSAR app, you simply hold your phone over the front cover and the Riverdance comes alive directly from the page on your phone. This is the start of our quest to seamlessly integrate our magazine with the digital world and we have great plans to add this to each of our titles going forward. Enjoy this issue and have a great holiday here in Ireland. A special thank you to Fáilte Ireland for their support with content and imagery. The Wild Atlantic Way Magazine ltd, t/a Go Wild Magazine. All rights reserved. The Wild Atlantic Way Magazine ltd t/a GoWild Magazine does not accept any responsibility for any advertising content. All unsubscripted manuscripts will not be accepted or returned. No material may be used in whole or in part without the publisher’s prior consent. While every care has been taken to ensure the accuracy of all events, information or recommendations in this magazine, no responsibility will be accepted by The Wild Atlantic Way Magazine Ltd, its editorial team, designers, authors or agents acting on their behalf for alterations, errors or omissions which may occur. You won’t find leprechauns or pots of gold at EPIC, but you’ll discover that what it means to be Irish expands far beyond the borders of Ireland. Discover Ireland from the outside in through the stories of the men and women who left and the Irish culture they brought with them. Don’t just visit Ireland, understand it. Search for EPIC Museum. friend of mine - is a manager of a hotel in Shanghai; it’s one of the most famous hotels in China. That was almost a decade ago and last year she opened the Be Sweet Cafe in Baldoyle, Dublin. “That’s open a year now; it’s a success. I was making sandwiches this morning and I had just landed from LA last night. “We’re thought so well of, because we’re hard workers and because we have a compassion in us.” Bernice’s family has always been obsessed with all things sweet. She first started thinking about building a confectionary brand while on maternity leave from Virgin Atlantic. With no idea how to start a business, she decided to email her boss Richard Branson, who is also the boss of her 79,999 colleagues! He responded, they met, hit it off and she started The Be Sweet Company - a novelty confectionery company that’s 100% Irish and exports overseas. ALL THAT SPARKLES... The world’s finest crystal continues to be made by skilled craftsmen at the House of Waterford Crystal factory, situated in the heart of Waterford City, in Ireland’s Ancient East. The House of Waterford Crystal scooped the Best Ireland’s Ancient East Tourism Experience (greater than 50,000 visitors) at the Irish Tourism Industry Awards 2019 at a recent awards ceremony in Dublin. The awards, organised by the Irish Tourism Industry Confederation (ITIC), Fáilte Ireland and Tourism Ireland, gathered the crème de la crème of the Irish tourism industry together, announcing 15 winning companies as best in their category from 75 shortlisted finalists. David McCoy, Director of Sales & Marketing at the House of Waterford Crystal expressed delight with winning the award for Best Ireland’s Ancient East Tourism Experience: “This is a great achievement for us and we are delighted to be recognised as winner – tourism is vital for the national and regional economy and we are so pleased to play our part in such a key sector,” he said. A significant tourist attraction, the House of Waterford Crystal welcomes 200,000 visitors annually from across the world. The factory on the Mall is now a major tourist attraction as well as a crucial business for the Irish economy. music and art. If you want to recognise a special achievement or give a special gift for a celebration, Waterford is one of the first places people look. In the same way, Waterford is present in so many homes around the world – some very famous home – in lighting and chandeliers.” Waterford Crystal continues to provide some of the most prestigious trophies to the world’s great sporting events, all made at the facility. The list of famous trophies produced by Waterford Crystal for the sports industry alone is simply staggering; the Irish Open Trophy, the Honda Classic and the Masters Snooker trophy, to name just a few. Waterford Crystal also designed the spectacular Times Square Ball – a crystal ball which forms a prominent part of a New Year’s Eve celebration in Times Square in New York, colloquially known as the ball drop. The House of Waterford Crystal brings a visit to Waterford to a whole new level, as visitors can witness the creation of crystal masterpieces right before their very eyes. The factory tour is a unique and captivating experience that allows people go behind the scenes for over an hour and see exactly how Waterford Crystal pieces are made and they can witness every stage of production, from the initial design stage right up to the final engraving of the piece. 10 Reasons to visit Dublin Molly Malone The song ‘Cockles and Mussels’ is the unofficial anthem of Dublin city. The song’s tragic heroine Molly Malone and her barrow have come to stand as one of the most familiar symbols of the capital. The statue of Molly Malone is located on Suffolk Street, just a short walk from Trinity College and Grafton Street. Molly Malone worked as a fishmonger but also as a working girl and died in one of the outbreaks of Cholera that regularly used to sweep the city of Dublin. The statue of Molly and her cart is affectionately nicknamed ‘The Tart with the Cart’ by Dubliners. Moore St Market Moore Street Market is an open-air fruit and vegetable market which is held from Mondays-Saturdays. This colourful and lively street is a must for visitors wishing to experience a slice of life and get a flavour of Dublin through the wit of its people. The Moore Street accent, with its typical Dublin street cries, is widely celebrated. Stroll through Grafton Street Running from Stephen’s Green in the south to College Green in the north, Grafton Street is one of the busiest streets in Ireland and one of Dublin’s most prominent shopping districts. It is full of high street and up-market shops, department stores and shopping centres and is the perfect place to stroll along as you window shop, or pause to watch one of the many buskers and street performers. Many of Ireland’s biggest music acts such as singer/ songwriter Damien Rice, Academy Award Winner Glen Hansard and AngloIrish band Keywest started out busking on Grafton Street. Dublin Zoo Located in Phoenix Park, in the heart of Dublin city, Dublin Zoo is Ireland’s most popular family attraction, and welcomed over one million visitors last year. As one of the world’s oldest zoos, the 28-hectare park is home to some 400 animals in safe environment where education and conservation combine for an exciting and unforgettable experience. Dublin Zoo is much more than a fun-filled, stimulating day out for all the family...it’s a place to learn about wild animals, especially those which are endangered. The zoo is a registered charity – your visit will help maintain Dublin Zoo and contribute to conservation programmes. Marvel at St Patrick’s Cathedral Saint Patrick’s Cathedral is the national cathedral of the Church of Ireland. The building is a busy place that serves as a place of worship, a visitor attraction and as a host for many events. As the largest cathedral and one of the most important pilgrimage sites in Ireland, Saint Patrick’s has been at the heart of Dublin and Ireland’s history and culture for over 800 years. 15cm in diameter at its apex. The upper part of the Spire sways gently when the wind blows, reflecting the character of the city’s climate. The monument’s tip can sway up to a maximum of 1.5m under extreme wind loading; don’t be too alarmed if you’re nearby when this happens! Take a tour at the Jameson Distillery The new look Jameson Distillery Bow St. offers three fully guided experiences: Bow St. Experience, The Whiskey Makers, and The Whiskey Shakers - all of which have a firm focus on immersive storytelling. You’ll be invited to touch, smell and most importantly, taste Jameson in the original Bow St. Distillery buildings. An exciting part of their Whiskey Makers & Whiskey Shakers experiences is a visit to their live Maturation Warehouse, where you’ll get to taste Jameson straight from the barrel. Take a walk over Ha’penny Bridge The Ha’penny Bridge is the best-known and most photographed of Dublin’s bridges. It was built in 1816 and was the first iron bridge in Ireland. It is a single span structure with cast iron railings and decorative lamps. It was originally named the Liffey Bridge but is now called the Ha’penny because until 1919, to cross it there was a half-penny charge. Explore Dublin Castle Erected in the early 13th century on the site of a Viking settlement, Dublin Castle served for centuries as the headquarters of English, and later British, administration in Ireland. In 1922, following Ireland’s independence, Dublin Castle was handed over to the new Irish government. It is now a major government complex and a key tourist attraction. General Post Office Located on O’Connell Street, The General Post Office (GPO) was the last of Dublin’s prominent public Georgian buildings to be built. Completed in 1818, the GPO still serves Dublin as a post office and a notable landmark. The GPO is one of Ireland’s most famous buildings, given its role in the 1916 Easter Rising. The building served as the headquarters for the Easter Rising and got heavily damaged in the fighting. Heralded as a symbol of Irish independence, the GPO houses a small museum on the building’s place in Irish life. he unique story of Gaelic games stretches from ancient times to the present day, and it is one to become immersed in during a visit to Ireland. and eventually became the forebears of both soccer and rugby. The earliest records of a recognised precursor to modern Gaelic football date from a game in 1670, in which catching and kicking the ball were permitted. Comprised of our national sports of hurling and Gaelic football, Gaelic games are governed by the country’s largest sporting organisation, the GAA (Gaelic Athletic Association). The GAA is celebrated as one of the great amateur sporting associations in the world. It is part of the Irish consciousness and plays an influential role in Irish society that extends far beyond the basic aim of promoting the sports of hurling and Gaelic football. The GAA was founded in 1884 by a select group of visionaries led by Michael Cusack and Maurice Davin. Their ambition was simple, to preserve and cultivate our national pastimes. An early set of formal rules of Gaelic football and hurling were put in place and the structure of the games was built on the foundation of club and county. The formation of ‘The Association’ planted the seeds for what would become world’s largest amateur sporting organisation. So, what are these sports? Hurling is a stick-and-ball game, played by teams of 15 on a rectangular grass pitch with H-shaped goals at either end. Often said to be the world’s fastest field game, hurling combines elements of lacrosse, field hockey and baseball in a hard-hitting, highly-paced game. The female version of the game is known as ‘camogie’ and is very similar to hurling, with just a few minor rule changes. Gaelic football shares many of the same characteristics of hurling, but only played by kicking, catching and punching a round football. Like hurling has with camogie, Gaelic football has a female variant with only slightly differing rules. The origins of these games stem back through the ages. Hurling’s roots go back thousands of years and it is even referenced in Irish mythology when the Ulster hero Cú Chullainn, then known as Setanta, uses a hurley and ball, known as a ‘sliotar’, to kill a vicious hound. In 1913, the GAA purchased a ground on Dublin’s Jones’ Road and re-named it ‘Croke Park’ in honour of Archbishop Thomas William Croke, First Patron of the GAA. It became, and remains, the headquarters of the GAA and has since been developed into a stateof-the-art 82,300 capacity stadium, one of the best sporting arenas in the world. A visit to the stadium’s GAA Museum and embarking on the Croke Park Stadium Tour are great ways to explore our Gaelic Games heritage and the majesty of ‘Croker’. For over a century now, the GAA has been a central pillar in Irish life. In truth, it is much more than just sport. It is a way of life, a bond that brings together children and adults not only in a sporting sense but culturally as well. The best players from these clubs take on the honour of representing their counties in games and competitions that are among the most prestigious events in the Irish sporting calendar. Matches take place in stadiums throughout the country all year round, the pinnacle being the All-Ireland Football and Hurling finals, which sell-out Croke Park every year. These occasions truly are spectacles to behold. Ahead of a typical GAA match, the excitement and buzz is palpable. Spectators young and old proudly line the stands clad in the vibrant colours of their county, sitting side-by-side in what makes for a very friendly atmosphere. The commitment and skill of the players on the field, the passion and exuberance of the fans, the exhilaration of the games themselves; they all culminate for a GAA match day experience that is like no other. Experiencing the GAA is simply a must-do on a visit to Ireland. Come and be a part of the magic by visiting www. gaa.ie to find out more about match fixtures and purchasing tickets online. The lifeblood of the GAA are the clubs, which are run by volunteers and act as social hubs for many villages and towns up and down the country. There are over 2,200 GAA clubs in all 32 counties of Ireland, and many more overseas. They represent where we’re from, who we are. It’s one thing admiring Dublin Bay from a DART carriage, or the heights of a cliff walk; it’s quite another to get out on the water itself. Options are plentiful here – Dublin Bay Cruises sails between Howth and Dun Laoghaire, Go Sailing offers sailing trips on a 54-foot yacht, and it’s possible to get paddling with kayaking.ie too. Looking back on the cityscape, taking in views stretching from Howth to Dun Laoghaire and Poolbeg Lighthouse to the flagship Pigeon House towers, you’re bang in the middle of the Biosphere! Ten miles south of Dublin City, Dalkey is famed as a coastal village jam-packed with restaurants, culture and seaside walks. It’s got heritage too. Dalkey Island bears the picturesque ruins of St Beignet’s Church, and archaeologists have traced artefacts like arrowheads, axes and pottery back to the Stone Age (boat trips can be booked locally for the short crossing). In the village itself, Dalkey Castle and Heritage Centre bundles a townhouse, 15th century castle, Early Christian church and heritage centre in one tidy campus. Guided tours include a live theatre performance with costumed actors bringing the past to life. Locals take the DART for granted, but the 53km suburban rail service offers some of the best views in the city for less than the price of a drink. From the cliffs of Howth to the River Liffey’s bridges and coastal villages crammed with heritage gems and delicious seafood, this is Dublin Bay’s hottest ticket. Ride the railway right around Killiney Bay and make it a daytrip by continuing all the way to Bray, Co. Wicklow. A jam-packed day of exhilarating fun for all the family takes place in North Bull Island, Clontarf on Sunday 9th June 2019. The Dublin Kite Festival attracts attendees from around the country, brandishing an array of kites ready to take to the skies and beautify the Dublin skyline with a jumble of colour. Whether attendees are brilliant kite fliers, or failing kite triers, there are plenty of kiting experts ready to lend a hand. The day also boasts lively music, exciting games, kite making workshops and a kite flying competition! James Joyce Tower & Museum Dublin Bay is overlooked by several Martello Towers – granite, pepperpot-like fortifications dating back to Napoleonic times. One of the most intriguing is the tower overlooking Sandycove, just south of Dun Laoghaire. It hosts the James Joyce Museum, a trove of letters and artefacts associated with Dublin’s defining author. It’s also the opening location in ‘Ulysses’. On Wednesdays, there are readings of Ulysses in Fitzgerald’s pub – or if you’re feeling frisky, join the locals in a bracing dip in the Forty Foot, Sandycove’s famous bathing place. Outdoor climbing A 30-minute DART ride from the city centre will land you in Dalkey Quarry, which offers some sensational rock climbing. Offering a maze of narrow paths leading to a huge variety of routes (from beginner friendly to super advanced), even the most regular of visitors to this place never tire of it. The quarry itself has been split into three areas, West Valley, East Valley and Upper Tier, each offering a huge variety of routes – slabs, cracks, chimneys and steep blocky overhangs. You name it, it’s probably there somewhere. The views over Dalkey town and across Dublin Bay to Howth also make climbing here all the sweeter. Just a 28-minute DART ride from Dublin lies the fishing village of Howth – home to a castle, several sizzling seafood restaurants and a series of looped walks. The Cliff Path is a local favourite, taking walkers exhilaratingly close to the edge before reaching a summit that moved The New York Times to evoke H.G. Wells’s description of “one of the most beautiful views in the world.” From here, cast your eye over the entire sweep of the UNESCO Dublin Bay Biosphere. Afterwards, make your way back to the village for a seafood feast at one of the tasty restaurants lining the West Pier. Climb Killiney Hill Want a view to savour? Take a hike up Killiney Hill, one of the handsome humps bounding Dublin Bay to the south. It’s topped by an obelisk that looks like a white wizard’s hat and you’ll often see hang-gliders floating overhead. This is a terrific spot for a 360-degree take on Dublin – stretching from the Wicklow Mountains to the south via the city sprawl to Howth Peninsula further north. tep into a world of Downton Abbey-esque grace, splendour and beauty at Newbridge House & Farm in north County Dublin. The setting is a stunning example of 18th century architecture and one of the last intact Georgian mansions in Ireland outside of the cities. Recently acquired by Shannon Heritage, one of country’s leading tourism and heritage companies, the house has been renewed so that it sparkles with fresh new life and visitors can truly “live” the history. Built in 1747 for the then Archbishop of Dublin, Charles Cobbe, Newbridge House and Farm remained in Cobbe family hands until 1985 when it was bought by the local council. The house’s original architect, James Gibbs, was one of the most influential of his time and also designed the church of St Martin in the Fields in London (which became a prototype for many churches in New England) and the extraordinary Radcliffe Camera in Oxford. in the Red Drawing Room. Cabinets of Curiosities, also known as ‘wonder rooms’, were small collections of extraordinary objects which attempted to categorise and tell stories about the wonders and oddities of the natural world. They were a particular feature of the Georgian period, when Britain’s explorer-traders were expanding their reach throughout the world, and the one at Newbridge is one of the only ones to be found in Ireland. Earlier this year, the nearby Donabate Historical Society decided to house its own collection of historical artefacts in Newbridge House, which will be housed in a permanent display area. donkeys, sheep, Irish draught horses, Kerry cows, birds, goats and deer. If visitors want to combine an 18th century state house experience with a 15th century castle experience, they could spend several hours at Newbridge House & Farm before wandering down to Malahide Castle & Gardens, just a ten-minute drive away. One of the oldest castles standing in Ireland, Malahide Castle can be traced all the way back to the 12th century, though the towers and main hall were around between 1600 and 1650. This is another member of the Shannon Heritage property family, so keep an eye out for special deals on combined tickets. The Temple Bar Food Market at Meeting House Square is a foodie’s paradise on a Saturday afternoon. Local producers offer a wide range of organic food, home baking, low food miles, seasonal produce, delicious ingredients, food to go and a wide range of produce in all weights and portion sizes. It runs from 10am-6pm every Saturday. Dublinia is a not-for-profit heritage centre located at Christ Church, the crossroads of Dublin’s medieval city. Meet the Vikings face-to-face, learn about life during the medieval period in Dublin, explore the world of archaeology and see a medieval view of a modern city from their tower. At Dublinia, you will see Dublin from a new perspective and a new archaeology exhibition is due to open soon. Temple Bar Designer Mart at Cow’s Lane Designer Mart at Cow’s Lane showcases 30 artists and designers from around the country and offers an exciting and broad range of original handmade jewellery, fashion, furniture design, visual art and photography. The Old City, Temple Bar is an ideal location to pick up a one-off unique piece from the creator, or an art piece for that special gift. It runs every Saturday 10am-5pm. The Icon Factory is an artist’s co-operative, not-for-profit collective run entirely by artists and volunteers. It is dedicated to celebrating Ireland’s cultural heritage through the artistic creation of Icons and through displaying these on their sister project, The Icon Walk. These artworks - representing rock stars, sporting heroes, writers and television stars - are reproduced and available in various forms in The Icon Factory. Smock Alley was the first Theatre Royal built in Dublin. John Ogilby opened it in 1662 as part of the Restoration of the British monarchy and King Charles II in 1660, along with the London’s Drury Lane (1662) and the Lincoln’s Inn Fields (1661). It was the first custom-built theatre in the city and still remains in substantially the same form, making it one of the most important sites in European theatre history. The Temple Bar institution has been going for 27 years and claims to be the home of Ireland’s original basket of chicken wings. The hot, spicy chicken wings are an iconic dish - you just can’t go there and not order them. Colin Farrell used to work in the restaurant, and Eva Longoria even popped in to sample their wares when she was visiting for the 2014 Web Summit. For years, diners have been trying to coax the recipe for the dark red, hot and savoury sauce from the restaurant wait staff, but to no avail. Darkey Kelly’s Bar & Restaurant One of the best-known pubs in Dublin for traditional Irish music, Darkey Kelly’s is located in one of the oldest parts of Dublin city. For generations, Darkey Kelly was known in Dublin’s folk memory as the woman who was burned at the stake for witchcraft, but new evidence uncovered suggests that although she was innocent of witchcraft, she still had a dark side to her character. The discovery of bodies under the floorboards of the brothel she ran in 1761 suggests she may have been Ireland’s first serial killer! Fishamble Street is one of the oldest streets in the city also. Handel’s ‘Messiah’ was first performed here in 1742 and every year on the 13th of April the Messiah is performed free of charge to a public audience. Workman’s Club live music From a riotous Cillian Murphy DJ set and Villagers live album recording, to a Jimi Hendrix film shoot with Andre 3000 and Royal Blood’s barnstorming first Irish gig, they’ve seen a whole heap of rock ‘n’ roll action at the Workman’s Club since opening the Wellington Quay doors in 2010. Run by people passionate about music, the venue welcomes performers of all flavours. Alongside the headline gigs, The Workman’s Club is home to some of the capital’s finest club, comedy, acoustic and new band showcase nights. Group for over 10 years. the Year in Ireland’ at the 2018 Irish Hotel Awards. euro investment from the Savoy Group. ground level, including a European-style brasserie style restaurant. lavish Oyster and Seafood Bar. Group in Limerick will make your holiday even more memorable. First Guinness brewery in USA open to the public The new home of Guinness in America – the Open Gate Brewery & Barrel House in Maryland opened its doors on Friday, August 3, 2018. Will you be planning a trip? “This brewery has long been a dream for Guinness, and an incredible amount of hard work has gone into getting these doors open,” said Diageo Beer Company USA Chairman and Diageo Global Chief Sales Officer Tom Day. “I can’t wait to see people enjoying the fantastic beer our brewers have made in this historic and beautiful building. I’m proud that we have created something special and quintessentially Guinness here in Maryland.” Located just 10 miles from downtown Baltimore and 30 miles northeast of Washington DC, the Open Gate Brewery & Barrel House is part of an exciting and growing brewing scene in Maryland. It will be the home of Guinness Blonde, along with new Guinness beers created for the US market. The creation of a world-class brewery, barrel house and visitor centre and development of packaging and warehousing operations has generated more than 200 jobs and represents an investment by Diageo of approximately $90 million in the Maryland project. The Open Gate Brewery & Barrel House is the first Guinness brewing operation on US soil in more than 60 years and is home to two custom-built brewhouses: A 10-barrel brewhouse and a 100-hectoliter brewhouse, both of which are set up to brew and ferment different styles. The 10-barrel system is the small-batch experimental brewery, while the 100-hectoliter system will initially brew Guinness Blonde for national distribution. Led by Brewmaster Peter Wiens and Head Brewer Hollie Stephenson, the Maryland brewing team has already begun producing beers for the on-site taproom. While the majority of beers will be available exclusively in the taproom, a few brews will make their way to the greater DC, Maryland and Virginia areas, with some even rolling out nationally. The first part of the brewery’s name takes inspiration from the Guinness Open Gate Brewery in Dublin – where the company has experimented in beer for more than a century. The second part of the name, ‘Barrel House’, is a nod to the long history of Guinness brewers maturing beer in wood barrels, a tradition this new brewery intends to continue. While many Guinness classic stouts, including Guinness Draught, Extra Stout and Foreign Extra Stout, will continue to be brewed at St James’ Gate in Dublin, guests can enjoy them responsibly alongside the new American innovation beers in the brewery taproom. The exact number of beers on tap will vary, but there will typically be more than 15 beers available at one time. Visitors can tour the 10-barrel brewery and try the beers made on site. The initial line-up will include: Guinness IPA, a hit in the Test Taproom and Crosslands Pale Ale, a beer made entirely with Maryland-grown malted barley and hops. Tickets will be available for purchase on site, but Guinness recommends buying them ahead of time at www.GuinnessBreweryBaltimore.com. le dimanche, le service commence à 09:00 de Killimer et à 09:30 de Tarbert. Das Segeln am Sonntag beginnt um 09:00 Uhr aus Killimer und um 09:30 Uhr aus Tarbert. La domenica, il servizio comincia a 09:00 da Killimer ed a 09:30 da Tarbert. *June, July & August ONLY! here’s so much to see and do in the heart of the capital and no visitor will ever leave unfulfilled. Well-known attractions such as The Guinness Storehouse have rightly earned their place at the top of the most visited list; but there are some hidden gems to look out for also. So, when we went to compile a list of what’s hot in the city centre – we asked Dubliners what they would do of a sunny Saturday - where do they go - and what the locals would recommend you don’t miss during your stay! Here’s a few of the favourites for you to check out during your stay in Dublin city centre. The Little Museum of Dublin Telling the story of the city over the last 100 years, the museum makes a big impact with small stuff — from a first edition of Ulysses to old bus scrolls and a statue of Bono. There’s an exhibition downstairs that changes seasonally, and a special tour each Thursday, focusing on women’s history in Ireland. Freemason’s Hall Despite the reputation for secrecy, Irish freemasonry has a long and proud tradition, and anyone can dip in during a tour of Freemason’s Hall on Molesworth Street. The Grand Lodge here is the second oldest in the world, and it’s full of dizzying details and set-pieces. Tours run at 2.30pm on weekdays from June to August, with private visits welcome by appointment outside of those times. the Chester Beatty Library instead, home to a staggering collection of books and manuscripts. The texts on display are exquisite, including some of the earliest known biblical texts on papyrus. Afterwards, head up to the roof garden for some peace and enjoy the views over Dublin Castle. Read Ulysses at Sweny’s Chemist James Joyce was Dublin’s quintessential writer, but his books are more admired than read. You can change that by joining a reading session at Sweny’s, the 19th-century chemist that features in Ulysses and is today run as a literary curiosity shop by volunteers on Lincoln Place. Readings of Joyce’s books take place at 1pm on weekdays and various times on weekends, with visitors invited to join in. Croke Park The GAA (Gaelic Athletic Association) is Ireland’s largest sporting organisation. It represents our national games of hurling and Gaelic football and is celebrated as one of the world’s greatest amateur sporting associations. If you really want to get under the skin of the Irish, a visit to Croke Park is a must. More than just a stadium, it’s the home of Gaelic games and it holds a special place in the hearts and minds of Irish people. Here, you’ll find passion and history pumping around every corner. The Croke Park Stadium Tour, Ericsson Skyline (how’s your head for heights?) and GAA Museum are the perfect way to truly immerse yourself in Irish culture. enjoy â&#x20AC;˘ relax â&#x20AC;˘ explore Parknasilla is only a short drive along the Wild Atlantic Way from the vibrant town of Kenmare. But what really counts is our immediate location set within a "Tropical Paradise" of islands, inlets & hidden beaches. Come stay with us and wake up to our beautiful sea views, indulge in spa pampering, explore one of our many coastline walking trails, enjoy a guided sea kayaking tour, play golf and in the evening come dine with us in The Pygmalion Restaurant where exemplary cooking, good wine and great service will impress. represents the interests of businesses in the Greater Dublin Area. jobs in communities across the island. with growth recorded from all markets. VISIT SLANE DISTILLERY IN THE HEART OF THE BOYNE VALLEY To book your guided tour through our state-of-the-art working Distillery please visit www.slaneirishwhiskey.com or call +353 (0)469030600 HONOUR THE LEGACY. SIP RESPONSIBLY. Must be 18+ to order and/or consume any alcohol beverages at this event. ID may be required. SLANE and SLANE CASTLE are trademarks of Slane Castle. ©2019 Slane Castle Irish Whiskey Limited. All rights reserved. the wonderful experience on the ground. car spaces on ferries from Britain every week. Competitiveness and the value for money Your thoughts on Brexit? in a city they want to grow old in. island of Ireland, in a new way, to hundreds of millions of fans across the world. Your favourite restaurants and pubs? That’s a question that gets me into trouble! meeting regularly for over 30 years. million British visitors to the island of Ireland. ads, as well as content for social platforms. business in the off-peak and shoulder seasons. launching a new strategy for the market in 2019.
ensure a seamless experience for today’s tourist. Malahide Castle is a magnificent medieval castle just 10 minutes from Dublin Airport. The castle is set on 250 acres of parkland with a story dating back to the 12th Century. Enjoy daily tours of the castle, visit the ornamental walled gardens, fairy trail, exotic butterfly house and dine or shop at the Avoca Café and Retail store. We look forward to your visit. Audio guides for house tours available in French, German, Spanish, Italian, Portuguese, Russian and Chinese. To make the most of beautiful Dun Laoghaire, you must rent a bicycle and then your first port of call should be Dun Laoghaire Pier. The 2.6km return journey along the East Pier is extremely popular with locals and tourists alike. The perfect way to get fresh salty air into your lungs and leave your worries behind. Teddy’s Ice cream was established in Dun Laoghaire since 1950 by Edward Jacob. Teddy’s has become a household name on the southside of Dublin over the past 65 years and through three generations, people have been bringing their children to Teddy’s for a treat; whether it be one of their famous ice-creams or a quarter of their favourite sweets from an old-fashioned jar measured out in front of them. Have an ice-cream at Teddy’s and if you have the Irish luck, you can get a clear day and see Howth! Ireland’s National Maritime Museum is housed in Dun Laoghaire’s 180-year-old Mariners Church. The museum’s greatest artefact is probably the building itself as it is one of a few custom-built places of worship for seafarers remaining intact in the world to-day. Experienced guides will bring you on a voyage of discovery, enthralling you with stories of discovery, heroism, war and disasters at sea. You will learn about maritime history, exploration, navigation, radio, deep-sea cable technology, nature, wildlife and view art inspired by the sea. See the 10-tonne revolving Baily Optic, try the electrified steam engine and pause to reflect at the Titanic exhibit, the re-created radio room, the Royal Navy prisoners docks and the war memorial. Bring your swimming togs! You can’t miss the Forty Foot, a favourite swimming spot for locals. For years, the Forty Foot was a men-only spot, where the male of the species could strip off in peace. Now, men and women, young and old, swim there, although there is a secluded part around the side where men still gather and women rarely venture. The great advantage of the Forty Foot is its depth, so you can always jump in even at low tide. It’s a great place to swim, with its clean deep waters. One. At the end of this war, a town in Northern France donated a statue of the Sacred Heart to the parish of Kingstown (now Dun Laoghaire) to commemorate the many local Irishmen who had fought and died in Flanders. At the beginning the statue was refused by the Christian Brothers and also the local parish church. Finally accepted by a sister in the Dominican Convent, the statue was placed in an Oratory. Sister M. Concepta Lynch hand-painted the wall behind the statue and the results were so impressive that she was asked to complete the rest of the Oratory, which she proceeded to do from 1920 until 1936 in the style of the Gaelic revival, using the symbols of Early Irish Christian Art. The stained glass windows were provided by the famous Harry Clarke Studio of Dublin. The oratory remains well preserved and has won numerous architectural awards. There is also peace garden on the grounds. With an afternoon spent in the water, or in a museum, you might fancy a spot of shopping and hit some of the many shopping districts Dun Laoghaire has to offer. There are the two different shopping centres: Dun Laoghaire Shopping Centre and Bloomsfields Shopping Centre. With an endless supply of shopping options between the two, you’ll be spoilt for choice. As well as that, there is also George’s Street, filled with shops galore from big international companies, to smaller family-run businesses. There is something for every taste or style. Pavilion Theatre was built in 2000 as a municipal theatre for the Dun Laoghaire-Rathdown area. It has since grown and established itself as a cultural hive of activity and entertainment for thousands of visitors each year. With a maximum capacity of 324 seats, Pavilion Theatre’s diverse programme of events entertains audiences from all over Ireland and the world. The team here work to ensure a high standard of art and culture is presented at Pavilion Theatre, from international theatre, cinema, dance and music companies, as well as the best of local and national professional and amateur companies. St Michael’s was formerly a 19th-century Gothic church, which was almost entirely destroyed by a fire in 1965 (only the tower and Spire remained). Instead of rebuilding in the original style, it was rebuilt in the style of the time. It was finally unveiled in 1973 and is a beautiful building to behold both inside and out. With its beautiful stained-glass windows and the great tower which dominate the skyline in Dún Laoghaire, it’s a sight to behold. CLADDAGH JEWELLERS The iconic symbol of love, loyalty and friendship, the Claddagh dates back hundreds of years and is intrinsically linked with Galway. Claddagh Jewellers are makers of the authentic Claddagh Ring whose origins date back over three hundred years. This family-run business invites you to a unique visitor centre experience where you can discover the history of the Claddagh Ring and the legend behind how it is worn. Visit stores in Galway and Dublin to browse the most extensive collection of fine Irish and Celtic jewellery, where you can choose your own authentic Claddagh Ring and become a part of the tradition. Check out their website thecladdagh.com to click and collect your item before arrival or to browse their selection of Celtic & Claddagh Jewellery. Claddagh Jewellers - From Galway With Love. 2 091 562 310 2 Grafton St. Dublin 2.
and sumptuously adorned walls and ceilings. years, it would undergo a major rebuilding. soon flooded to the other side of the river. defining mark on Dublin’s landscape. were abandoned to Dublin’s poor. the poor), fish, fresh herbs and creamy butter. reserved for the exclusive use of residents. residents such as Daniel O’Connell (No. 1800, which added Ireland to Great Britain. have been soothing their troubles since 1824. Wilde (No. 1), and George Russell (No. 84). There is nothing in the world quite like a Dublin pub. You know the kind of pub we mean; a proper one, with well-worn bars bearing the scars of 10,000 elbows. Padded leather seats. Walls the colour of tobacco that make you yearn for the power to make them talk; just imagine the stories they could tell. It’d be a sin to come to Dublin without visiting one of its real, grand old pubs. noted for serving a particularly good traditional Irish breakfast. one of the city’s most popular pubs among locals and visitors alike; thanks to its homey feel, friendly service and lively atmosphere. This is a pub beloved not just by its customers but its competitors too. spied in the pub’s snug, long main bar and cosy, fire-lit room upstairs. take the chance to soak up the rays on the footpath outside. DAY TOURS Cliffs of Moher / Wild Atlantic Way / Galway City day tour: Enjoy 2 hour visit at the Cliffs of Moher, ticket includes admittance to the Cliffs of Moher Visitor Centre. A scenic drive along the Wild Atlantic Way Coast. Visit Galway City, the bohemian and cultural capital of Ireland. A 2 hours visit includes a free walking tour of the City provided by the Tour Guide. Giants Causeway / Belfast Titanic Museum / Belfast City Black Taxi Political Tour / Carrick Rede Rope Bridge: All attraction costs included in ticket to include admittance access the Giants Causeway Heritage Centre & a guide walk with the Park Ranger. Kilkenny City / Wicklow Mountains & Glendalough / Irish Sheep Dog Trials day tour: Includes walking tours of Kilkenny City & Glendalough Monastic site. A visit to a working sheep farm with sheep dog trials and the opportunity with the farmer to handle the lambs (bred for us all year round). Photographic stop at the top of the Wicklow Mountains. Enjoy a guided walking tour of Medieval Kilkenny City with your Tour Guide also included in the ticket price. 2 hours at Glendalough and 2 hours + 30 mins Kilkenny City Game of Thrones & Giants Causeway: Visiting the Antrim coast and caves, Ballintoy Harbour and the Dark Hedges. The Giants Causeway and Dun Luce Castle. to try a tot of the house whiskey, James Toner, while you’re there. makers too and you’ll spy this lovely interior in films such as Educating Rita. Check out their website to find out about upcoming gigs. Established in 1779, McDaids is situated off fashionable Grafton Street close to Dublin city centre. One of the true literary pubs of Dublin, once frequented by many of the greats of Irish literature, including Patrick Kavanagh & Brendan Behan. McDaids has a tradition of hospitality and is popular with locals & tourists alike. Dating back to the 18th century, it still retains many features from its time as a church. These days it serves an excellent selection of craft beers in addition to pints of Irelandâ&#x20AC;&#x2122;s best. When busy, head up the old steep stairs to the top bar if you fancy a quiet pint. On busy sporting occasions, TV screens add to the atmosphere but music free, it remains a place for conversation and is the perfect place for those wishing to soak up Dublinâ&#x20AC;&#x2122;s past & present. I was born in New York City; my parents Tony and Bernie immigrated to the US in the late 1960s. We returned to Ireland when I was 10 months. As an adult, I moved back to my place of birth and lived there permanently, until returning to Dublin in 2005. I later launched my own label Jennifer Rothwell. I am also the proud mother of two children – Isabelle, (11) and Kal (5) - my most beautiful creations to-date! Was a career in fashion always on the cards? My love of fashion started when I decided to turn my pink jumpsuit, which had elasticised cuff sleeves, into a pair of trousers for my Barbie doll when I was seven! How did you get in to the industry? to gain experience in the trade before jumping in the deep end. I learned the A to Z of the fashion industry as Director of Design and Production for many high-profile New York companies Norma Kamali, Katayone Adeli, Calvin Klein, Language and Yigal Azrouel. In August 2006, I decided to bite the bullet and launch my own label. What was your inspiration? Living away from Ireland on and off for over 17 years gave me a greater appreciation for my Irish heritage and culture. I wanted to help reignite the Celtic revival of the 19th and 20th centuries in the 21st century; to celebrate Irish artists, folklore, legends and traditions through fashion, in a modern and contemporary way. In 2016, the National Museum of Ireland purchased three of my designs for their collections – that was a great honour and endorsement. a little piece of Ireland, and the story of Celtic Ireland, through my fashion and accessories. I think it’s great to see something like 11 million people visit our small island of Ireland in one year; this shows great potential for Irish design and craft. Top places to visit? Wexford is one of my favourite counties in Ireland; there, you can visit Hook Lighthouse and the Irish Heritage National Park. In Dublin, Howth Head is a must. It’s a beautiful fishing village that has several excellent locally sourced fishing restaurants. Stoop Your Head, in Skerries, is also a must. For pubs; Mulligan’s and The Globe in Dublin! The Féileacán collection - the first of many new prints - is inspired by the need to create awareness; to save vital species in order for the Earth’s future survival. The second new print collection is inspired by St Brigid, the Goddess of Fire - Ireland’s first female saint. Has tourism helped your business? Don’t just explore our heritage, immerse yourself in it… people from all over the world have set on a journey through the Dublin mountains to discover the quaint allurement that lies behind the doors at Johnnie Fox’s. HAVE A HOOLEY Step back in time to discover the true Irish experience at the renowned Johnnie Fox’s Hooley Night - this includes the famous Fox’s troupe of Irish dancers, lively band playing traditional Irish music, a four course meal by our award winning kitchen and plenty of good ‘aul’ Irish craic. From Presidents to Prime Ministers, from film icons to farmers, from sporting greats to singing legends, the pub has become famous for its guests and its true ‘Céad mile fáilte’. Johnnie Fox’s is inimitable to the pretender - It has often been copied, never equalled. in a soothing contemporary palette. The pinnacle of excellence, we’ve been welcoming guests to Dromoland Castle since 1963. The 16th century stronghold sits in a 450-acre estate that offers guests the perfect opportunity to enjoy Irish country life. Thanks to a new generation of creative chefs who are Luna fully exercising their talents on Ireland’s incredible native produce, Dublin has arguably joined the ranks of world- With its dark wood and leather banquettes, muffled lighting and grownclass dining destinations such as Lyon, or Barcelona. up ambiance, Luna is handsome and debonair with a gently roguish edge. Imagine George Clooney expressed as a restaurant and you’ll have it. There has never been a more exciting time for foodies to visit the city and lovers of the finer things in life are especially spoiled. Take a look at our top picks below for the city’s hottest fine dining spots, and book your tables now! power over Dublin’s most discerning, and satisfied, diners. continues to wow from its basement location on Dublin’s northside. Here, the creative talents of Ross Lewis are given full expression on a menu that focuses on Irish artisan produce and embraces influences as diverse as Catalan molecular gastronome, Ferran Adrià, and Ireland’s own doyenne of solid, traditional cooking, Myrtle Allen. The results are as delicious as they are visually stunning, and served up in a setting that is designed to offer a warm welcome to everyone. this good at one of Dublin’s most highly sought-after destinations. character of carefully selected produce shine through. neighbourhood hangout, a comfortable space defined by bare wood, leather, ceramics and fabrics in life’s gentler shades. “Dublin’s most exciting new restaurant in years,” says the Irish Times, while the Irish Independent’s food writer also hails John Wyer’s food as “some of the most exciting food I have ever encountered”. attention. This is peak performance contemporary dining. Trinity College cricket pitches on the other side of Nassau Street. use of all the flavours Ireland’s top food producers can offer. barbecued pork belly with burnt pear, beetroot, lardo and crackling. Things To Do in Glasnevin The National Botanic Gardens The National Botanic Gardens are located in Glasnevin, situated between Prospect Cemetery and the River Tolka where it forms part of that river’s floodplain. The gardens were founded in 1795 by the Dublin Society (later the Royal Dublin Society) and are today in State ownership through the Office of Public Works. They hold 20,000 living plants, many millions of dried plant specimens and there are several architecturally notable greenhouses. The gardens participate in national and international initiatives for biodiversity conservation and sustainable development. Dublin City University Take a visit to Dublin City University, a relatively new and modern campus. Created as the National Institute for Higher Education, Dublin in 1975, it enrolled its first students in 1980 and was elevated to university status in September 1989. In September 2016, DCU completed the process of incorporating three other Dublin-based educational institutions: the Church of Ireland College of Education, Mater Dei Institute of Education and St Patrick’s College. The Pyramid Church Glasnevin is served by the Church of Lady of Dolours. A timber church, which originally stood on Berkeley Road, was moved to a riverside site on Botanic Avenue early in the 20th century. The altar in this church was from Newgate prison in Dublin. It served as the parish church until it was replaced, in 1972, by a structure resembling a pyramid when viewed from Botanic Avenue. The previous church was known locally as “The Woodener” or “The Wooden” and the new building is still known to older residents as “The new Woodener” or “The Wigwam”. current family are the 6th generation in the business. Also known as ‘The Gravediggers’ because of its location next to the Glasnevin cemetery and its attached folk history, this is a genuine Victorian bar, totally unspoilt – and it has a reputation for serving one of the best pints in Dublin. No music, “piped or otherwise”. Experience Gaelic Games When you visit Ireland don’t leave without experiencing the wonder of our greatest and most unique modern cultural activity – Gaelic Games. A visit to Experience Gaelic Games will give you a chance to play games whose history extends back over 3,000 years into an ancient Irish civilisation. These are some of the oldest games in the world; they’re also great fun for people of all ages. Experience Gaelic Games is all about your participation regardless of age, gender or skill level. Grand Canal walk Take a stroll along this revamped section of the Grand Canal; a nice, quiet, watery oasis (with plenty of seats) on a good day. Traditionally used as a method of transportation, the canal itself is a lot more leisure-based nowadays with barges of private parties easing their way down the waters during the summer months. It’s also a great spot for exercise enthusiasts with walkers, joggers and cyclists getting great use of the flat, straight track. Mountjoy Square Mountjoy Square is one of five Georgian squares in Dublin, planned and developed in the late 18th century. It is Dublin’s only true Georgian square, each of its sides being exactly 140 metres in length. It has been home to many of Dublin’s most prominent people: The writer James Joyce lived around the square during some of his formative years, playwright Seán O’Casey wrote and set some of his most famous plays on the square while living there, W.B. Yeats stayed there with his friend John O’Leary, and more recently, much of the Oscar-winning film ‘Once’ was made in the square. Historic meetings have taken place there, including planning for the Easter Rising and some of the earliest Dáil meetings. TALLEST ROUND TOWER! Since 1832, more than 1.5 million people have been interred in Glasnevin. Located just 2.5km from Dublin’s city centre, Glasnevin Cemetery covers 124 acres of glorious parkland with plenty to appreciate – perfect for those interested in exploring the legacies of Ireland’s heroes. A hauntingly gorgeous Victorian Garden cemetery, each guide is passionate about sharing their love of heritage and history, telling the stories of Ireland’s complex and fascinating history through daily walking tours turning a learning experience into a period of magic with a careful balance of passion, sensitivity and even fun. Things To Do In Skerries Newbridge House and Farm Newbridge House and Demesne is the most complete Anglo Irish estate in Ireland. The House and estate were purchased from the Cobbe family in 1985 and opened as a County Dublin Regional Park in 1986. Consisting of approximately 370 acres of gently undulating pastureland, woodland walks, wild flower meadows, traditional farm, ruins of Lanistown Castle, a deer park and at its heart, the fine Georgian house designed by the renowned architect James Gibbs. Newbridge Farm is home to a vast array of animals ranging from the Shetland and Connemara ponies of the paddock, to the piglets, goats and chickens of the farmyard. It is one of the few working farms where children can see pigs, and many other animals, reared in an environment where they can move about freely and express normal patterns of behaviour. Rockabill restaurant Rockabill aims to bring fresh, locally-sourced, great food to Skerries, with long opening hours covering breakfast, lunch, and dinner – with a beer and wine licence, great chicken wings and most amazing fish dishes. Where Rockabill Restaurant now stands was once the house named ‘Mirimar’, rented in July 1917, by the National Aid Association, for widows of the 1916 leaders. The group staying here included Muriel MacDonagh, widow of Thomas MacDonagh, who died while swimming not far from this house, attempting to reach Shenick Island. It has been thought that Muriel wanted to place a tricolour on the island out of reach of the local Royal Irish Constabulary who had removed one from the beach. One hundred years later to the day, a tricolour was planted on the island in her honour. Skerries Mills Skerries Mills is a unique collection of two windmills and a watermill with associated mill pond, mill races, wetlands and is an ideal place to visit on a day trip. The Mill complex also houses the Watermill Café and the Craft Shop. Since the 12th century, flour has been milled at this unique location. The fully restored complex brings to life the authentic workings of a five sail windmill, four sail windmill, water mill and bakery of the 1800s. This provides the visitor with examples of how wind and water energies were harnessed by our ancestors. of Mourne Mountains to the north and Lambay to the southeast. Ardgillan is a sanctuary for many species of animals, mammals and birds for which the wooded areas provide a safe retreat from surrounding agricultural land. Di Vinos tapas DiVino, a family-run Italian restaurant, situated in the heart of Skerries, serves modern and authentic Italian food and wine in a cosy and friendly atmosphere. DiVino was established in March 2012 in order to introduce Skerries to the Mediterranean cooking style which has been recognised by UNESCO as a healthy way of eating. The menu is famous for its representation of many aspects of regional Italian cooking – it showcases over 20 regional Italian dishes. The restaurant also has an extensive wine and beer menu, exclusively devoted to Italy, with over 30 varieties of Italian wine. Skerries Sea Tours Skerries Sea Tours runs two passenger trips daily; to Lambay Island and Rockabill Lighthouse (2.5 hours) and Lambay Island Walking Tour (4.5 hours). The trips are run by local RNLI crewman Eoin Grimes, aboard an 11 metre Redbay Rib with twin engines. The boat can carry 12 passengers and three crew members, is fully insured and carries the required P3 license from the Department of Transport. Red Island The headland Red Island was once, as the name suggests, an offshore island. The former island is a popular excursion destination with a large playground and direct connection to the harbour and beach. There is also a Martello Tower from Napoleonic times on Red Island: Its massive walls are two anda-half metres thick and a parapet surrounds the stone roof. This tower has been altered since its military days. Doors were added on the ground floor and windows on both floors. The tower has been used as a private dwelling, as tearooms and as part of a holiday camp. Baldongan Church This National Monument, with its 21-metre-high fortified tower, resembles a tower house and is known locally as Baldongan castle. But it is a fortified church whose later tower dates to the 15th century. The church or nave may be 14th century. An earlier church at the site was granted to the Priory of St Mary at Kilixby in 1190 AD. Around this time, the Knights Templar built a fortress in the field north of the old church. This castle was the residence of the de Berminghams and Barnwalls until it was besieged by Cromwellian forces in 1642 and the 200 strong garrison were put to the sword. The site offers superb extensive views of the north Dublin countryside. Are you free? So are we! Free admission to the greatest collections of Irish heritage, culture and history in the world. Kildare Street, Dublin 2. Merrion Street, Dublin 2. Benburb Street, Dublin 7. Turlough Park, County Mayo. Outreach Events, Guided Tours & Lectures. Museum Shops & Cafés. Open: Sunday & Monday 1pm to 5pm. Tuesday to Saturday 10am to 5pm. Closed: Christmas Day & Good Friday. ‘NIAMH BARRY – LIGHT ON EARTH’ ON SHOW AT THE NATIONAL MUSEUM OF IRELAND The ‘Niamh Barry – Light on Earth’ exhibition celebrates the work of contemporary Irish artist Niamh Barry, one of the world’s leading innovators in the use of LED technology. A Dublin native and resident, Niamh was one of the first artists in the world to create ‘edge lit’ pieces using LED technology and, since then, she has achieved significant commercial and critical success internationally. After graduating from NCAD in 2001 specialising in ceramics, Niamh spent a number of years making conceptual furniture and lighting and later a brief detour into the film industry. Following that, she spent more than a decade making custom lighting designs for commercial installations. Her signature works are highly soughtafter and included in many prestigious public and private collections around the world. Her client list includes some of the leading interior designers and architects internationally, amongst them, Peter Marino, Nate Berkus, Miles Redd and David Easton and Kelly Hoppen. One of her most recent commissions in Ireland was a monumental light sculpture in the new Central Bank of Ireland. In 2004, Niamh made her first edge lit piece Chain but it was in 2009/2010 she made Fouette, her first bronze, curvilinear, edge-lit piece. This prototype, composed of a mild steel frame, clad in bronze with handmade glass mosaic, was a ‘breakaway piece’ in this art form. Five elliptical connections take the appearance of the ballet position from which the piece derives its name. This, her original bronze ‘edge lit’ creation, is one of the six pieces on display at the National Museum of Ireland and she has also donated it to be part of the Museum’s permanent collection. While she has exhibited in locations such as New York, San Francisco, Milan and London, this exhibition at the National Museum of Ireland - Decorative Arts & History is Niamh’s first solo exhibition in Ireland. Howth Summit (171m) has excellent views across Dublin Bay right down to County Wicklow. From the top of Howth hill, you can walk to the top of the Ben of Howth, a headland near the village, which has a cairn said to mark a 2000-year-old Celtic royal grave. The 1814 Baily Lighthouse, at the southeastern corner, is on the site of an old stone fort and can be reached by a dramatic clifftop walk. Howth’s ‘hidden’ beach is Claremont; a small cove-like beach situated close to the harbour. It is a popular beach all year round and there are a number of pubs and restaurants located along the Harbour Road and in the village of Howth. Located on the other side of the railway, it’s a lovely sandy strand, with perfect views of Ireland’s Eye directly in front. To get here, go past the semi-industrial area by the West Pier. The Ye Olde Hurdy-Gurdy Museum of Vintage Radio in Howth boasts many examples of early Morse equipment, gramophones, crystal sets, valve radios and other pieces of equipment. Pat Herbert, the curator, is always on hand to demonstrate some of the many working exhibits. Fittingly, the Martello Tower has historic links with Marconi and Lee de Forest, two of the fathers of wireless, who conducted early experiments from the tower in the 1900s. It was also the site where the first communications cable from Holyhead in Wales to Ireland was laid in 1852. Aqua, Howth’s award-winning seafood restaurant, has been serving the community for over 15 years. Located at the very end of Howth’s West Pier in a building with a long and apt history, Aqua has the best seat in town with legendary views across Howth Sound to the island of Ireland’s Eye. Aqua sits proudly in a building which previously belonged to Howth Sailing Club, which was formed in 1895. Aqua uses the best local ingredients in all dishes, a lot of fish served is caught locally and salads come from a local restaurant garden run on Howth Hill. Howth Market Following a major revamp in summer 2013, Howth Market has become a permanent fixture standing proudly along the seafront of Howth. Welcoming both locals and tourists alike, Howth Market is a fantastic day out and offers a vast array of organic produce, freshly baked goods, jewellry, clothing, antiques and much more. The market itself takes place each weekend and also on bank holidays. Howth Castle Gardens The Howth Castle gardens are worth a visit; they’re noted for their rhododendrons (which bloom in May and June), for their azaleas and for the long, 10m-high beech hedge planted in 1710. The gardens were founded in the 19th century. The rich, turf soil was brought up to the cliffs and thrown into the gaps between rocks. Around 2,000 plant species were planted on the site, including quite exotic specimens like palm trees and tree ferns. Here, all the plants seem to grow wild beside a cliff wall and this gives this place a sort of an exotic touch. You can admire all the colours, varieties and shapes of flowers, while strolling along the narrow paths between the trees, and you won’t believe you’re actually in Ireland. Ireland’s Eye A 15-minute boat ride from Howth on Dublin’s northside lies Ireland’s Eye, a beautiful and mostly untouched island. The only signs of human activity are a Martello Tower and the ruins of a church. It’s a hive of activity otherwise; the wildlife on offer is incredible, notably the many species of nesting birds. The most spectacular natural feature is the huge freestanding rock called “the Stack”, at the northeastern corner of the island, which plays host to a large variety of seabirds, including thousands of guillemots, razorbills, fulmars and gulls. There’s even a few breeding pairs of puffins. Grey seals are abundant in the sea around the island too. National Transport Museum The Transport Museum Society of Ireland began with an abortive 1949 effort to preserve three Dublin trams. Totally voluntary, the Society became a limited company in 1971 and is now a registered charity, operating to international museum standards. Sixty out of the 100 vehicles currently in Howth are on display, and others can be inspected by prior arrangement. The oldest items date from 1883, the newest 1984. Hop On Hop Off Route / Stop Off & Pick UP Times 10:30 Toots departs from Malahide DART Station DAILY 10:40 Beach Carpark 10:45 Carnegie Library Stop in Village 10:50 DART Station 11:00 Malahide Castle 11:10 DART Station Then every 40 mins the loop begins again from DART Station 11:10, 11:50, 12:30, 13:10, 13:50, 14:30, 15:10, *16:30, *17:10, *17.50 *Denotes WEEKENDS (Friday to Sunday) & BANK HOLIDAYS in Summer Season (May 1st until 30th September) Winter season (1st October to 30th April) service ends each day with the 15:50 train going just one way to Malahide Castle as daylight determines our performance. Donâ&#x20AC;&#x2122;t forget to show your badge for discount Discounts a wide variety of attractions i.e. Malahide Castle, Fairy Trail & Butterfly House. Malahide Castle, set on 250 acres of parkland was both a fortress and a private home for nearly 800 years and is an interesting mix of architectural styles. The Talbot family lived here from 1185 to 1973, when the last Talbot died. The house is furnished with beautiful period furniture, together with an extensive collection of Irish portrait paintings, mainly from the National Gallery. Within the visitor centre in the courtyard, a new interpretation and exhibition area tells visitors the story of the walled gardens as seen through the eyes of ‘Lord Milo Talbot’, the creator of the gardens and grounds as seen today. Café Provence is a family-run business, established in 2002 by Lucy and Simon Higgins. Cafe Provence is situated in the heart of Malahide village and during the day, it is a great place to have breakfast, a delicious lunch or a coffee and scone. From 5pm, they offer early evening, early bird and a la carte menus. Malahide Beach Malahide has a 2km beach which, following an attractive coastal walk, leads into the neighbouring Portmarnock beach. This beach is lifeguarded during the summer months and has facilities for the disabled. If you’re lucky enough (go on a weekday, or evening) you might even get the entire beach to yourself. There’s nothing more enthralling than being alone with a vast expanse of beach in front of you, and being free to skip, dance, sing or scream. Malahide Beach is also good for a sit down. It offers a lovely vista out to Lambay Island, Howth and Ireland’s Eye (depending on how far you walk, that is). Also, take a look on the ground; there are some lovely shells to be found if you look hard enough. Malahide Marina Sitting just inside the sheltered broadmeadow estuary, Malahide Marina is the ideal location from which to enjoy sailing the waters of the Irish Sea. This seaside village is the jewel in the crown of this scenic stretch of Ireland’s magnificent eastern coastline. There are 350 fully serviced berths in the Marina, located in a well-protected inlet, and vessels of up to 75m can be accommodated. On the marina itself, Geisha Restaurant (Thai and Asian fusion), with a 280-seater bar and restaurant is ideal for groups with sailing activities in mind. Dublin International Airport is a mere four miles from the marina. Irish Centre for Cycling Irish Centre for Cycling live and breathe to cycle and want to share their passion with you. Their bike tours have been created from their own cycling experiences and they have bike tours and bike rentals to suit everyone’s needs. Why not catch a train to Malahide with the family, hire some bikes and take a spin towards Portmarnock for a picnic, the kids will love it! You can hire bikes for an hour, a half day, a full day or as many days as you like at their base at Malahide Castle. Oscar Taylor’s Restaurant Oscar Taylor’s is one of the most popular eating establishments in the Fingal and Malahide area. With a seating capacity of 170, it is the most spacious, with more than ample room for the discerning diner. Planned and built on the top of the Island View Hotel, with an excellent sea view and a fantastic atmosphere, the extensive menu caters for all tastes. Grab a pint in Gibney’s Nestled in the gorgeous seaside town of Malahide, Gibney’s celebrates the spirit of the Irish pub; a local mixing pot and social hub. Patrons of all ages and backgrounds gather here to enjoy hearty fare, a cold pint, live music, sporting events, or to simply savour the warm hospitality and friendly banter. Fowler’s pub and eating house has a relaxing atmosphere with a contrasting blend of styles. Curious furnishings and interesting elements give Fowlers a special identity. They are the only establishment country-wide to have a specially designed cold room. Patrons can view the inner workings of their establishment where crisp, cold beverages are stored and refrigerated before being dispensed to the bar. There’s also a three-tiered outdoor area for those wonderful Irish summer months. Take in the local sea breeze and relax in this leafy well-spaced area. magnificent Convention Centre, Eastlink Bridge, Dublin Port and Docklands and Poolbeg Lighthouse. Cruise duration is 60-70 mins. Also, new for 2019 are our magnificent cheese and wine evening cruises. For bookings, call 01 901 1757. MAKE A DAY OF IT at Slane Distillery Set in the heart of the Boyne Valley, Slane Distillery is housed in beautifully restored, 250-year-old stable buildings on the grounds of the legendary Slane Castle, famous around the globe for its incredible series of rock concerts. Our doors are now open for visitors to experience history in the making, with tours of our state-of-the-art, world-class working whiskey distillery nestled in the rich and historical Ireland’s Ancient East region. Visitors to Slane are guided through the entire whiskey-making process from grain to glass; but, in between, will hear about the traceability of our ingredients with water and barley coming from the very grounds we craft our whiskey on. HOSTING THE WORLD SINCE 1798 One of the most famous pubs across the island of Ireland, people from all over the world have set on a journey through the Dublin mountains to discover the quaint allurement that lies behind the doors at Johnnie Fox’s. It is liking stepping in to a 19th century home with service and standards of the 21st century. You can experience the renowned Johnnie Fox’s Hooley Night, that includes an award-winning Irish dancing show with live traditional Irish music and a four-course meal. From Presidents to Prime Ministers, from film icons to farmers, from sporting greats to singing legends, the pub has become famous for its guests and its true ‘Céad míle fáilte’. Johnnie Fox’s is inimitable to the pretender – it has often been copied, never equalled. U N B E ATA B LE F R E E WA LK I N G T O U R S W I T H E X C E L L E N T, L O C A L G U I D E S At Generation Tours, we know you want to get the best of Dublin while you're here, that's why our professional, proud local Dublin guides go beyond the standard tourist-fare tours, giving you unrivaled insight to our fantastic culture, turbulent history and the remarkable stories of Dublin & Ireland, while ensuring you discover the must-see sights and enjoy the best walking tour experiences in Dublin. make a little diversion, you could also take in the Ballyedmonduff wedge tomb just under a kilometre away. Also known as The Giant’s Tomb, this is a wonderful spot featuring a rectangular chamber arranged in a wedge shape which once had a twometre high cairn constructed on top. It has been dated back to around 1700BC and is not the easiest place to find. To get there, backtrack on the route you took to Fairy Castle and follow your GPS for 1.6km. The site is buried inside the pine forest, so keep your eyes peeled for the path towards it. And what was that mention of Johnny Fox’s earlier? One of Ireland’s oldest, highest and most famous pubs, this is an unmissable item on any decent Dublin itinerary thanks to the great food, live music and top-notch food. Go on, you’ll have earned it. What sets us apart from the rest? We are very passionate about coffee! At Container Coffee we offer premium speciality coffee that is locally roasted in Dublin and our ethos is to serve amazing coffee in every cup. lighting, plants and creative design, the bar offers an escape into a stylish ‘Secret Garden’ venue. with an edge, offering three floors of fun in the heart of the city. top class liquor and an oriental vibe, this seductive atmosphere will have you dancing early into the morning. This sums up what the Texas Steakout is about. From the very start, we wanted to make the restaurant homely and comfortable so the use of more recipes from your Grandmother’s kitchen was a better option than food that people at that time were unfamiliar with. The Texas Steakout Restaurant was established almost 29 years ago and since its opening has remained one of the top favourites on the Limerick dining scene. training and skills programmes for our employees, helping them to build successful and flexible careers. “Given the right support, Irish tourism has the capacity to generate a further 40,000 new jobs by 2021, which would be of tremendous benefit to the economy,” said Mr Lennon. A native of Co. Carlow, Michael Lennon is a graduate of the College of Catering, Cathal Brugha Street. 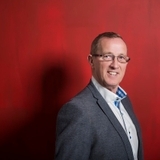 He began his career in Chicago before returning to Ireland, where he initially worked with the Great Southern Hotel Group, before joining Brian McEniff Hotels. Together with his wife, Joanne McEniff, he owns and runs the Westport Woods Hotel, which they bought over 20 years ago. Toots - The Malahide Road Train Toots is an initiative of Malahide Trolley Ltd. We are a family friendly Tourism & Travel enterprise operating in Fingal, North County Dublin. We are proud to serve visitors, both domestic and abroad, on our little train. Since our first outing in June 2013, we have carried over 200,000 passengers. Rather than boast about our own success, we’ll let our followers on TripAdvisor, Twitter and Facebook do that for us. Our Gallery of Toots Followers is also evidence of satisfied visitors on our little road train. We look forward to seeing you on board, enjoy Malahide! Guinness - the story of the ‘Black Stuff’ Guinness is world-renowned as an Irish dry stout that began in the brewery of Arthur Guinness (1725–1803) at St James’ Gate brewery in Dublin. In 1997, Guinness plc merged with Grand Metropolitan to form the multinational alcoholic drinks producer Diageo and now, it is one of the most successful beer brands worldwide. It’s brewed in almost 50 countries and is available in over 120. In Ireland, they brew almost €2 billion worth of the beverage annually. The draught beer’s thick, creamy head comes from mixing the beer with nitrogen and carbon dioxide when poured and being allowed to ‘settle’ before being finally topped up. Get nearer the experience at the Guinness Storehouse where you’ll discover what goes into the making of each and every pint. You’ll earn about the incredible brand history stretching over 250 years. You can learn how to pour the perfect pint in the Guinness Academy, or upgrade to enjoy samples of the four most popular variants, with the Connoisseur Experience. Changing the conversation for business people everywhere You’ve been making waves within the business landscape lately. What’s your back story? I’d say my story is a familiar one to many people. I was raised as a ‘doer’ and climbed to being a C-staff executive within Global FMCG companies over a 25-year career. I had the cars, house, money, titles and holidays to Dubai. I was focused and relentlessly target driven and hugely successful at putting together winning business strategies. I had a strong respected voice in the company and I thought that that was what success was supposed to look like and, from the outside in, it certainly seemed that way. The reality was quite different. I had a niggling feeling deep in my gut that, at the time I could only articulate as: “Something’s not quite right...” I had been so busy meeting business objectives that I had narrowed my perspective and created a tiny fishbowl, which had become my life. So, in true high achiever fashion, I decided it was time to wake up, refocus and create a new agenda, one where I could create a wider map for my life that included my wellbeing, as well as the high-performance results I had built a reputation for. I set about truly understanding what I wanted and then made a plan to skill up on the things that would help me create it. Here we are, years later, having this conversation! Where did your wakeup call come from? I remember speaking to a mentor of mine, really successful guy with a fantastic reputation within his industry and as our conversation unfolded, I was telling him that despite my achievements, I still had this void of unfulfillment. To this day, I remember how he looked at me, took a noticeable breath and asked: “Why are you on the run all the time? Is there somebody chasing you? What do you want?” That moment still stands out to me as clear as day because up until that conversation, I didn’t realise I was being driven by goals, targets, people and business needs. None of which, I had chosen and none of which had my personal wellbeing in mind. I was a cog in the machine and yet had still managed to ‘succeed’…to a degree. The difference I learned, was that the void I felt was a need for a more internal agenda. I wanted to discover what I could do to actualise the other potentials I had as a human being, not just shift a few extra units of product. A lot of leaders talk about those kinds of wake-up moments. What did you do to transform your perspective? how backwards we are in terms of resourcing our energy as human beings to be successful and not get burnout. We look outward for things to do and achieve and have. Really, that way of driving success has a finite lifespan. It plays havoc with our nervous system and we are letting ourselves be hijacked by our limbic system. Where we are most effective, is when we assess our executive centre and allow our thinking to dictate our feelings, and not our feelings to dictate our thinking. When you look into the neuroscience and biochemistry of peak performers you realise that success is something they create an ecosystem for. It’s not just a technique or a trend, it’s an environment built up of many factors that all feed into the performer’s agenda. That’s what I do now. I coach and mentor peak performers and leaders to create and sustain an ecosystem that supports their vision and their agenda. What advice would you give to executives and leaders reading this? We’re already data rich, so I don’t think executives and leaders need more data or knowing to be honest. I’m more interested in asking the right questions that will help them activate the knowledge, data and resources already available to them. Other than that, it’s really about working together to creating an ecosystem that enables long term success and that’s as unique to each person as a fingerprint or retinal scan. Client PR Riverdance – a global phenomenon Of all the performances to emerge from Ireland, nothing has carried the energy, the sensuality and the spectacle of ‘Riverdance’. With its fusion of dance, music and song, Riverdance draws on deep-rooted Irish traditions to propel Irish dancing and music into the present day. Featuring the combined talent of the Riverdance lead dancers, the Riverdance Irish dance troupe, the live Riverdance band and singers with international artists from Russia, Spain and the USA, the show truly entertains audiences of all ages and cultures. Investing in people at Airfield Estate Airfield Estate isn’t just a beautiful place with remarkable history, it is a social and charitable hub, investing in people and initiatives that reach every corner of the community. Set over 38-acres of farm and gardens, and just 15 minutes from Dublin city, there’s plenty to keep everyone entertained including: Egg collection, Jersey herd milking and tasting, animal feeding, working farm, heritage tours, indoor and outdoor play areas, vintage cars, organic food, ornamental gardens and a farmto-form restaurant. Check out the Airfield Estate Facebook page and Twitter account @airfieldestate for more information. Aillwee Cave & Bird of Prey Centre From a ‘hole in the ground’ to ‘soaring with eagles’, time spent at Aillwee Cave & Bird of Prey Centre is always enjoyed by all. A piece of paradise at Parknasilla Resort Parknasilla Resort is a luxury hotel and spa overlooking the calm waters of Kenmare Bay on the Ring of Kerry and the Wild Atlantic Way. Set within a 500-acre tropical paradise of islands, inlets and hidden beaches, it is truly a destination resort. Come stay with us and wake up to our beautiful sea views, indulge in spa pampering, explore one of our many coastal walking trails, enjoy a guided sea-kayaking tour, play golf and in the evening come dine with us - where exemplary cooking, good wine and great service will impress. McDaid’s - a true Dublin literary pub Established in 1779, McDaid’s is situated off fashionable Grafton Street, close to Dublin city centre. One of the true literary pubs of Dublin, it was frequented by many of the greats of Irish literature, including Patrick Kavanagh and Brendan Behan. Today, McDaid’s retains its tradition of hospitality and is popular with locals and tourists alike. Dating back to the 18th century, it still retains many features from its time as a church. These days, it serves an excellent selection of craft beers in addition to pints of Ireland’s best. When busy, head up the old steep stairs to the top bar if you fancy a quiet pint. On busy sporting occasions, TV screens add to the atmosphere but music-free, it remains a place for conversation and is the perfect place for those wishing to soak up Dublin’s past and present. Client PR Radisson Blu St Helen’s Hotel is the perfect choice Radisson Blu St. Helen’s Hotel is an Irish National Monument, with its elegant décor and well-preserved architecture, is part of a historic estate, built in 1750. Rest well in deluxe accommodation, certain rooms afford views of the 4 acres of manicured gardens or of Dublin Bay. Indulge in the awardwinning Italian cuisine at talavera restaurant or experience the a la carte menu in the conservatory styled Orangerie Bar & Ballroom Lounge. The hotel is close to the Dublin city centre and Dundrum Town centre, only a 20 minute drive from Dublin International Airport. The ideal hotel choice for leisure stay and celebrations, business meetings or Summer BBQ events. Fitzwilliam Casino and Card Club The Fitzwilliam Casino and Card Club is one of Ireland’s busiest casinos. The club is open from 6pm–6am and offers a wide range of live casino games including Roulette, Blackjack, Punto Banco, and Brag/ 3 Card Poker in our large open plan gaming floor. Renowned for our friendly and welcoming atmosphere, ‘The Fitz’ is the home of live poker in Ireland with Texas Holdem Poker Tournaments every night from 8pm. The best cash game action can be found here daily from 6.30pm, with limits to suit all budgets. Contact Information Curragh Road, Newbridge, Co Kildare, W12 T925. Dublin is a special city full of intriguing character and characters, stories and story-tellers, fascinating sights, enthralling history and strong connections to incredible legends and mythology. From early morning, as the mist descends the Shannon Estuary to the Wild Atlantic Sea, to the setting of the sun in the late of the evening, Shannon Ferry will take you and your vehicle on this memorable 20 minute journey across the estuary; linking the iconic tourist destinations of the Banner County of Clare to the Kingdom of Kerry. A city of extraordinary culture, ours is a capital born of risings and rebellions, writers and rogues and a unique spirit the likes of which can’t be found anywhere else in the world. At Generation Tours, we’re passionate about taking you right to the heart of it. This is a lovely experience for visitors who would like a short break in their journey to relax as they sail across the majestic Shannon Estuary. And if you’re lucky, you might even catch a glimpse of the dolphins, which in the summer, can sometimes swim so near the ferry, as if just to entertain you. Our free walking tours go beyond just sight-seeing and reeling off facts and dates - we make a trip through the city with us one of the highlights of your stay. We’re a team of proud, passionate and professional local guides, committed to helping you get under Dublin’s skin on our daily Free Walking Tour and Free Fables and Folklore Tour. Our pay-what-you-like model means you decide the value at the end, ensuring top quality city tours on fair terms! As the only vehicle ferry trip on the main spine of the Wild Atlantic Way, this invigorating journey allows you experience the rugged nature of land and sea as you breathe in the fresh salty sea air that encapsulates Ireland’s Wild Atlantic Way. Now it’s even easier and much better value with our online booking.